Wireless not working. 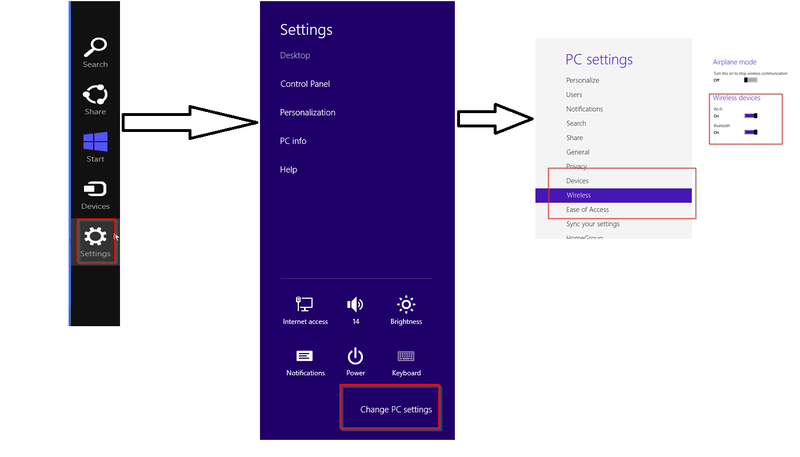 Hardware Radio Switch Off..
Open the Change PC Settings “Windows-8-Style-formerly-Metro-Style” app from the charms bar ( windows button + c ), go to Wireless, and flip the toggle switch. In earlier version of ActionScript (Prior to AS 3.0) Event flows didn’t exist and event listeners could only be added to the Objects that dispatched/generated events. In AS 3.0 listeners could be added to the any object/node in the event flow. Stage: It stays at the top of the tree (display list), its special object container, can only be accessed through a display object. Every display object has a property named stage that refers to the Stage for that application. Parent Node: As name suggests it’s the Parent of the Child Node(s). Child Node (Target Node): It’s the node that dispatches events. The currentTarget property refers to the current node that is being examined for event listeners. Capturing: This phase comprises all of the nodes from the Stage to the parent of the target node. Targeting: This consists solely of the target node. 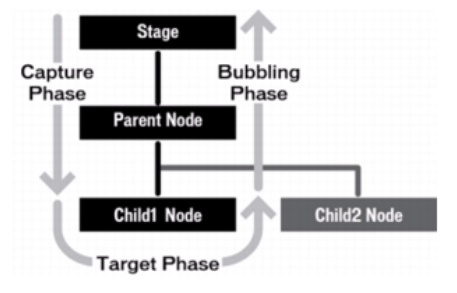 Bubbling: This comprises the nodes encountered on the return trip from the parent of the target node back to the Stage. When a faceless event dispatcher, such as a Validator, dispatches an event, there is only a targetingphase, because there is no visual display list for the Event object to capture or bubble through. Event that have bubbling phase activated by default are MouseEvent, KeyBoardEvent. Event listener inline with MXML, Flex sets this argument to false; you cannot override it. Note: Capturing is computationally intensive. If you want your event to traverse both the capturing and bubbling phases, you must call addEventListener() twice: once with use_capture set to true, and then again with use_capture set to false. If you create a custom ActionScript class that dispatches its own events but does not extend UIComponent, you can extend the flash.events.EventDispatcher class to get access to the addEventListener(), removeEventListener(), and dispatchEvent() methods. The difference between hasEventListener() and willTrigger() is thathasEventListener() examines only the object to which it belongs, whereaswillTrigger() examines the entire event flow for the event specified by the type parameter. Answer: This depends on the browser, as Netscape and Microsoft had their own interpretation of how the dispatched event should be handled. Netscape said that the event on element1 takes place first. This is called event capturing. Microsoft maintained that the event on element2 takes precedence. This is called event bubbling.